Rohr was appointed on August to tinker not just the affairs of the Senior national team but also to qualify the team for the 2018 FIFA World Cup slated for Russia. He’s also saddled with the responsibility of unearthing, grooming and developing the growth of the nation’s football which of recent have been experience some backslide. Reacting to Adamu’s earlier interview on Hot FM in Abuja, the reputable source told Soccernet.com.ng exclusively that the former sole administrator of Nigerian Football in 1994, should be mindful of his words and that a coach(Rohr inclusive) shouldn’t be judged by their past. 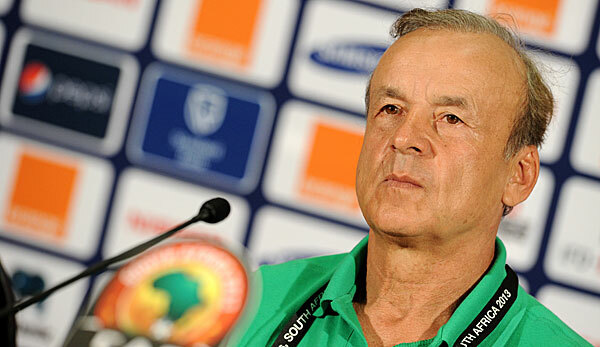 “Who is he to judge that Genort Rohr doesn’t have the pedigree to manage the senior national team of Nigeria. For the fact that we have selected him definitely means that he’s a coach that can take our football forward. ” We have no doubt of his capability to qualify Nigeria for the 2018 FIFA World Cup. I will advise him(Adamu) to watch and see how Rohr will make things work for our national teams.” the source concluded.